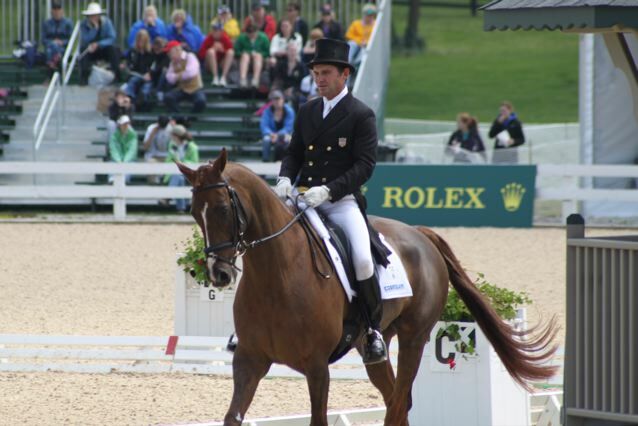 Rolex has come and gone and seems a bit of a blur. Once you start at a three-day event like Rolex you have four days of constant pressure and concentration, so I am a bit in recovery mode. 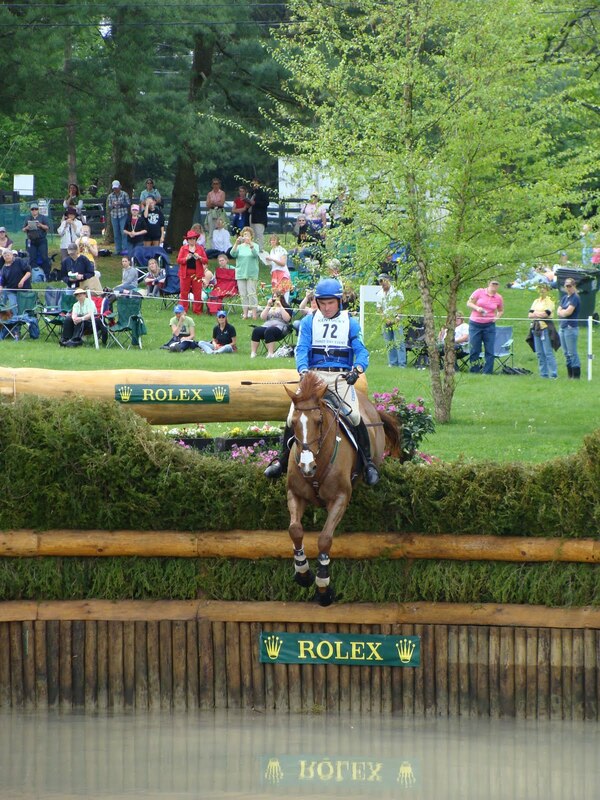 Most everyone knows that Rolex was won convincingly by William Fox-Pitt of the UK on a horse at his first four star. They were impressive all weekend, and it brings it home to all of us that you have to be consistent (and not make any mistakes) in all three phases to win a major championship or medal. I was very pleased for Woodburn who was second and was truly a star in all three phases. 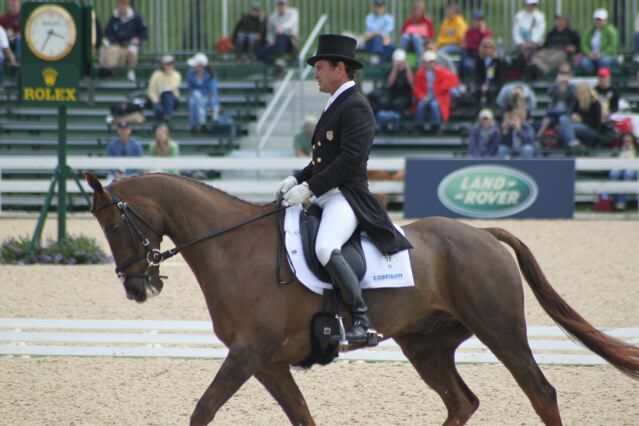 I will be working hard on improving his changes and polishing his dressage movements going forward. 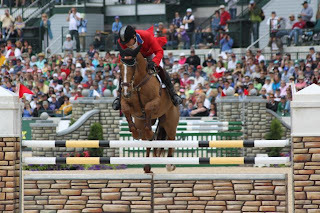 He is an unbelievable cross-country horse and handled every question with ease. 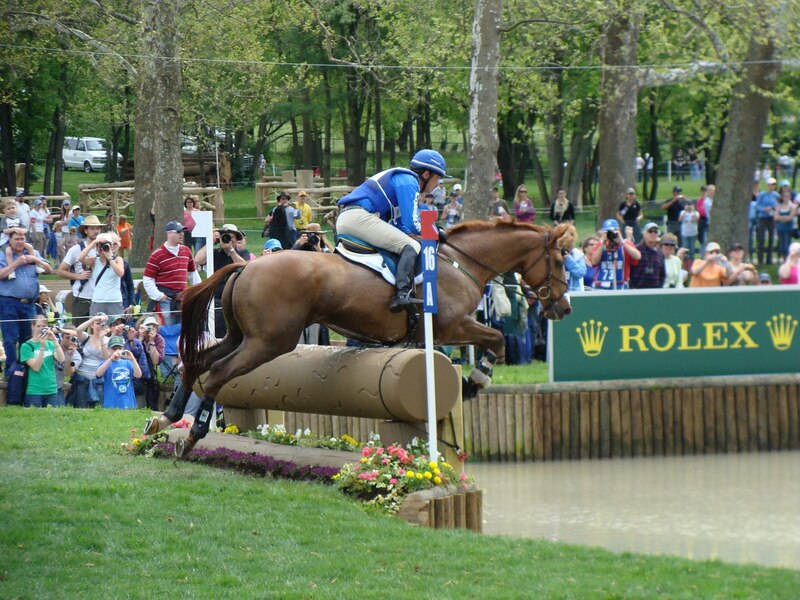 He has the most incredible ground-covering gallop, so the time on cross country is normally not a problem for him. 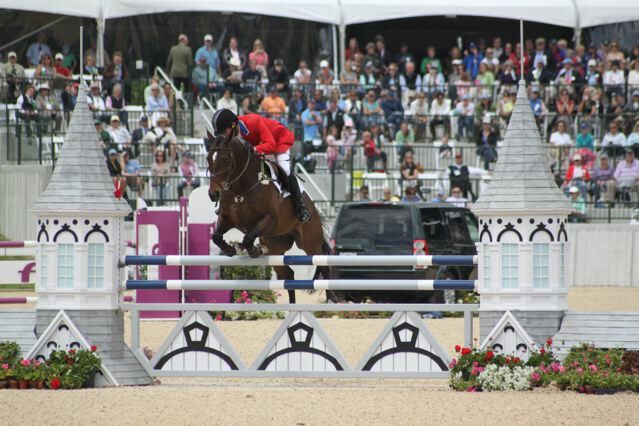 He tried so hard in the show jumping, which in the past has often been a bit difficult for him. 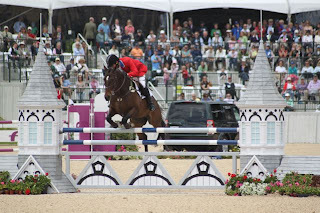 The Foreman was 6th after lowering two poles in the show jumping. I feel that I did not give him the ride that he needed in that phase. However, I am so proud of him after such a long hiatus from competing at the four star level. Unfortunately, Waterfront had an early runout on cross country, so we decided to withdraw him on course. This decision was made with his owner and rider Jan Byyny, and we all decided that was in his best interest. I have to say that I am super lucky to have such incredible support from my grooms, Emma, Kelley and Lizzy, who worked their tail ends off all weekend looking after four horses. It is a lot of work to look after one horse let alone four! I also have incredible owners who couldn't be more understanding when things don't go quite to plan, such as having to withdraw Khoeps Du Quesnay and when things are so hectic such as they were this weekend. So many thanks to Annie Jones, Becky Broussard, Mardie Faucette, Acorn Hill Farm and the Byyny family. All the horses will now get some down time before the big buildup to the WEG. 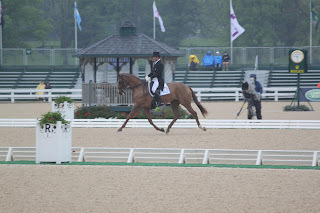 Dressage is finished and all horses placed well. I believe we have three in the top ten. The cross country course looks challenging as ever! I have decided to scratch Danny (Khoeps Du Quesnay) due to a small amount of heat and swelling in one part of his leg, just bad timing! Let's hope for a good day tomorrow! I got off to a pretty good start at Rolex. Chip went well in third. Danny got a 55 score, so I was pleased for his first 4 star. Woodburn and Waterfront go today. Had to have last minute change of plans for Woodburn who was meant to travel to Badminton. Hard to schedule two flights to Europe this week! Fingers crossed for today. It is hard to believe that of all the reasons a horse doesn't get to Badminton is because of a Volcano. But that is exactly what has happened to Woodburn who was due to fly out to the UK on Wednesday. 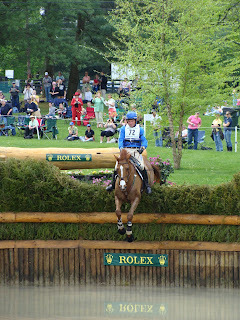 After a whirlwind couple of days speaking to the shippers, Woodburn's owners and I decided to reenter Woodburn at Rolex. So, pending FEI approval I will have 4 horses running at Rolex this weekend! I am upset to not be able to run him at Badminton, but given the extenuating circumstances this was the best option for all involved. More later after I arrive in Lexington. 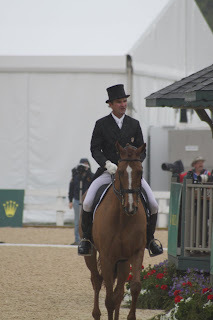 This is my first enry on my blog "Road to WEG" and my first blog ever! 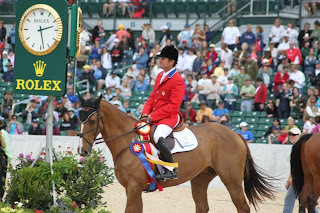 We are coming down to the last days before Rolex and Badminton and things are pretty hectic at the barn. It has been a long Spring build up and now the two Spring four stars are nearly here. We pull out early Monday morning for Lexington and then I leave the Sunday night after Rolex for Badminton. I used the Southern Pines and The Fork Horse Trials as a final prep for Rolex and Badminton for my potential WEG horses. The Foreman, aka Chip, and Khoeps Du Quesnay, aka Danny, had their last runs at Southern Pines. Both ran well, coming 3rd and 4th respectively in the Advanced class and came out of it pretty well. Chip and Danny are both aimed at Rolex. Chip is experienced at this level but it is Danny's first four star. Woodburn finished 6th at The Fork in the CIC*** division and is going to Badminton. 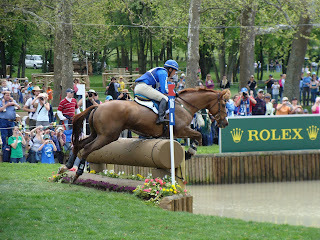 I also have Waterfront, Jan Byyny's horse, going to Rolex. We are still getting to know each other, but he was 5th in the Advanced class at the Fork, so that is looking pretty good. TruLuck was 3rd at The Fork. 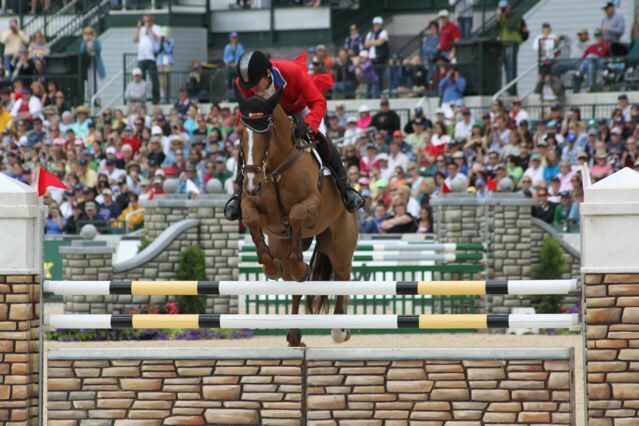 Coming off his 4th place at Burghley in September he will just do horse trials leading up to WEG. Rolex this year is going to be really exciting and a perfect build up to the WEG. I encourage any fans and supporters to come out to watch next week. Once again, I will be signing posters at the Cosequin booth after Cross Country on Saturday. Hope to see you there!